WARSAW, Poland (AP) — Poland’s president swore in 27 new Supreme Court judges Wednesday, stepping up the conflict over control of the judiciary and ignoring another top court that said the appointments should be suspended pending an opinion by European Union judges. Andrzej Duda appointed justices to the civil and penal chambers of the court as well as to its new chamber of extraordinary control, according to his top aide, Pawel Mucha. Reporters were not allowed to witness the ceremony. The new judges are part of sweeping changes the Polish government has made to the judicial system since the conservative Law and Justice party won power in 2015. Many Supreme Court judges were forced to step down when a new law lowered the mandatory retirement age from 70 to 65. The party argues that judges who were active during the communist era that ended in 1989 must be replaced for Poland’s courts to be fair and efficient. But critics say the changes are unconstitutional and put Poland’s courts under Law and Justice’s political control. 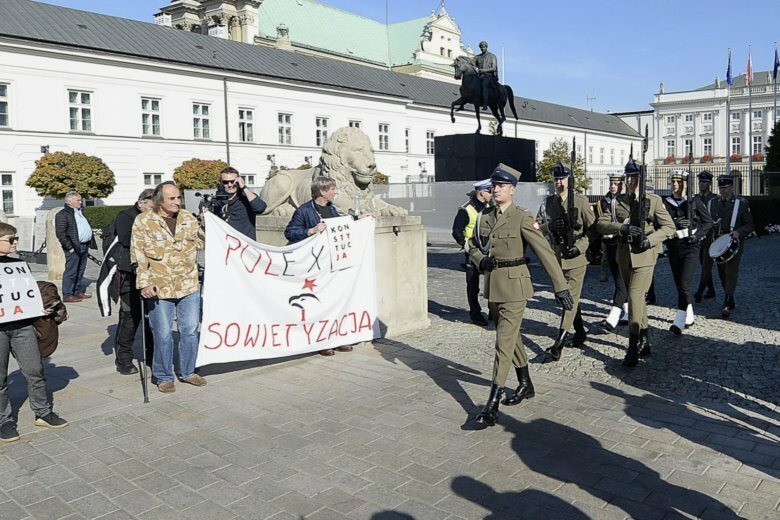 The moves also put Poland at odds with the EU, which triggered a sanctioning procedure against the member country. Courts in some other EU nations have suspended extraditions to Poland amid questions about judicial independence and fairness of trials there. The EU’s executive branch has sought a legal opinion from the European Court of Justice on what’s happened with Poland’s judiciary, including the Supreme Court’s suspension of nominating judges while it awaits its own requested ruling from the EU court. Opponents in Poland have warned Duda he could be brought before a special tribunal for politicians for constitutional violations. The president must be “brought to account in the future” for actions that go against the rule of law and could lead to anarchy, alleged Andrzej Zoll, the former head of the court that reviews legislation to determine if it is constitutional. Mucha insisted the controversy does not affect the president’s powers to appoint judges and that the court’s workload required the swift appointment of new members. The Supreme Court’s spokesman, Michal Laskowski, said Duda’s actions were intended to pre-empt the EU court’s ruling. A group of opponents held a noisy protest in front of the Presidential Palace, where the swearing-in ceremony was held. This story has been corrected to say that the Constitutional Tribunal checks legislation, not politicians, for adherence to the constitution.